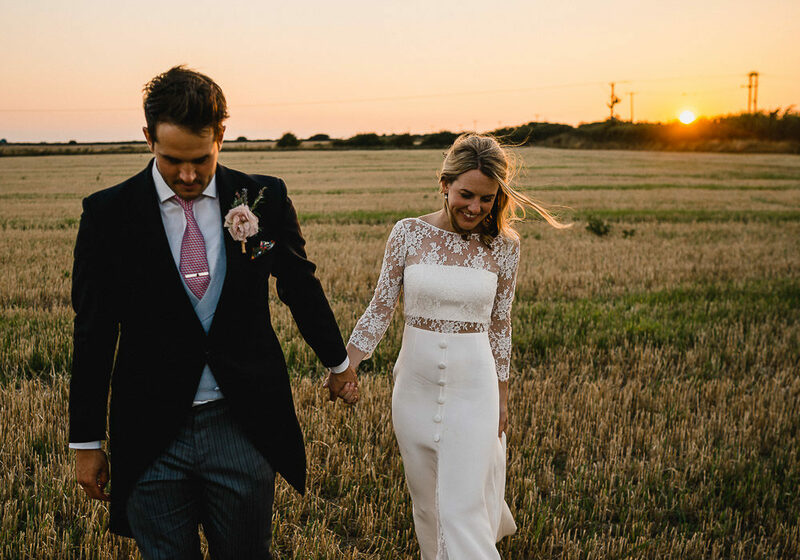 Tor and Nick’s beautiful, sunshine filled wedding celebrates the British seaside to perfection. 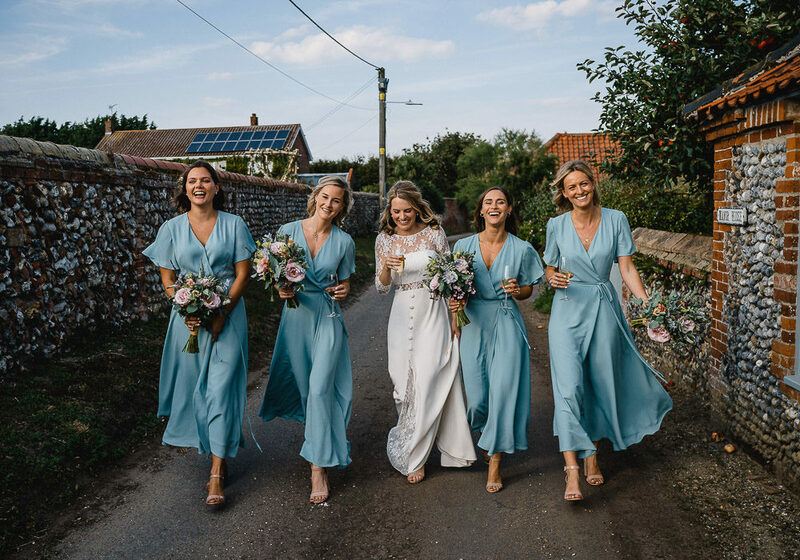 With subtle coastal decor references, a marine blue tone used throughout (including the most gorgeous bridesmaids in our favourite Rewritten dresses), and obviously, the glorious weather, which is always guaranteed at the coast, it’s wedding that will put a huge smile on your face. The florals are simply beautiful, aisles lined with blooms get me every time and the church looks stunning here. 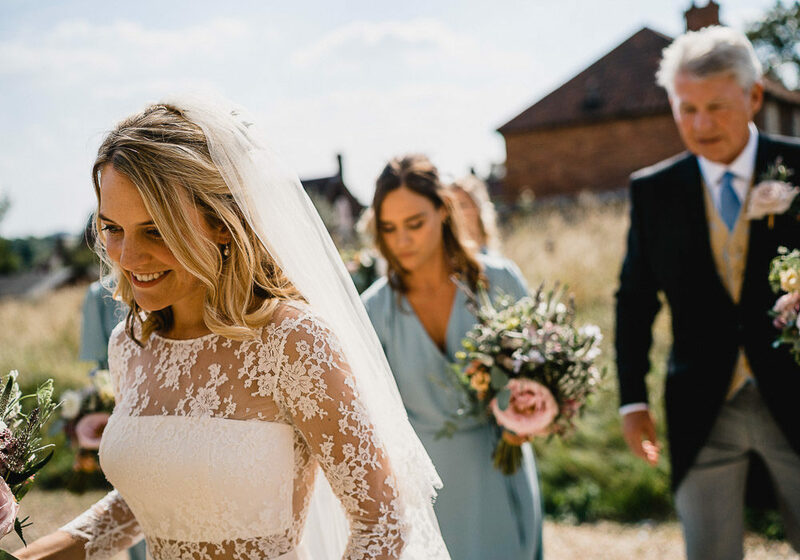 Images come from Luis Holden who has captured the whole day with such style and honesty, it’s a joy to look at these images and I just know, you’re going to love this wedding! 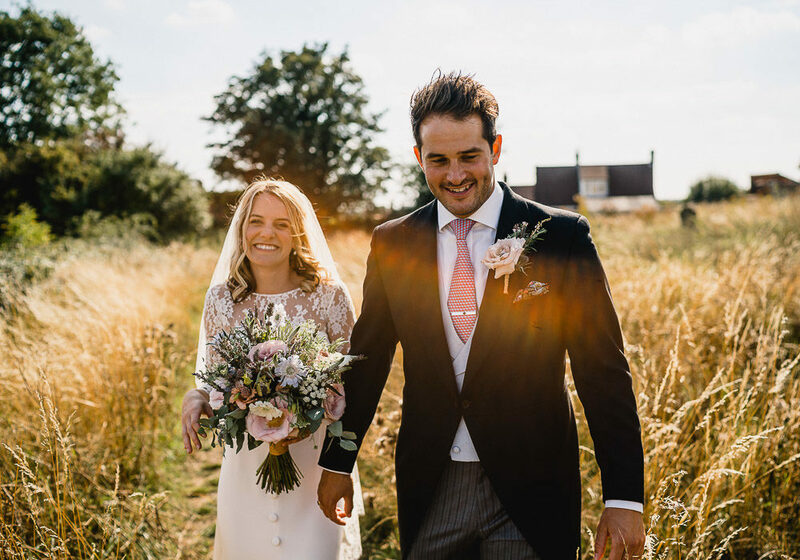 Tor the Bride: We got engaged about a year before we got married so didn’t have much time to make sure everything was booked! 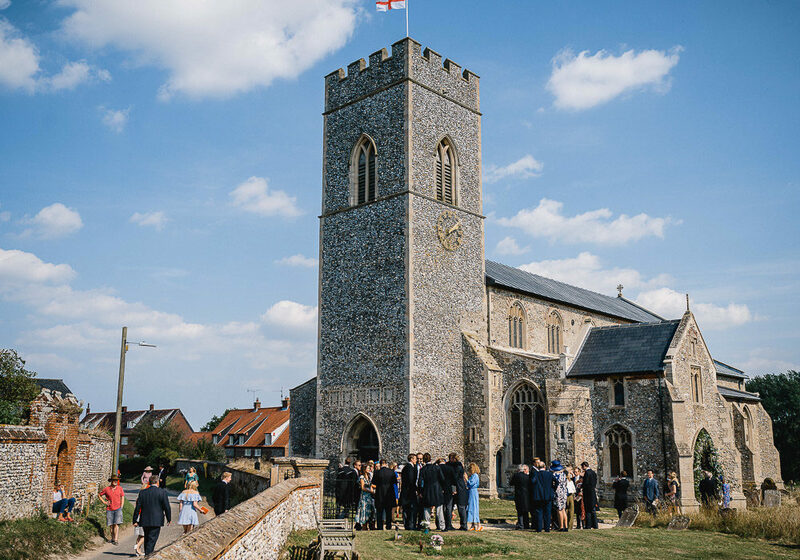 Luckily, we knew we wanted to get married in the village where Tor was brought up (Wighton, Norfolk) so booking the church there was a big priority. As Tor has lived in the village since she was three, one of the local farmers and great friends lent her their field so that we could have a marquee installed on there. 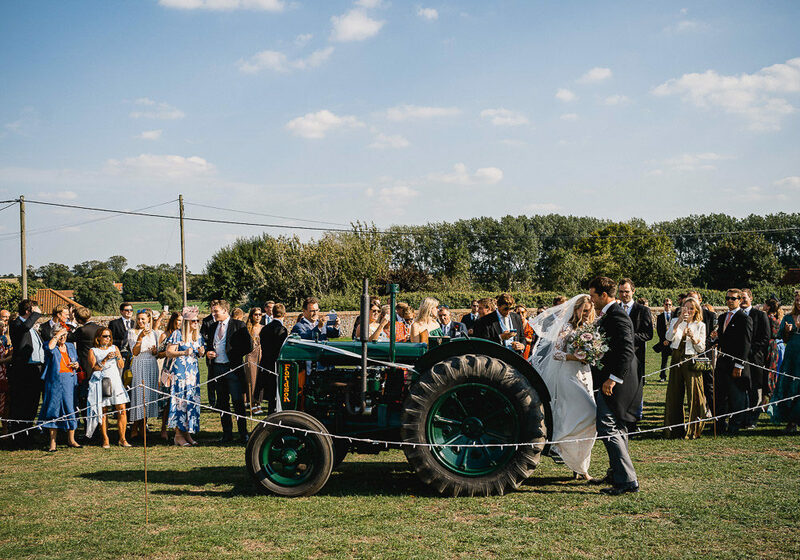 One of the best elements of the day was that Nick drove a tractor from the church to the marquee venue with him and Tor on! It was a big surprise for the guests and a lot of fun. 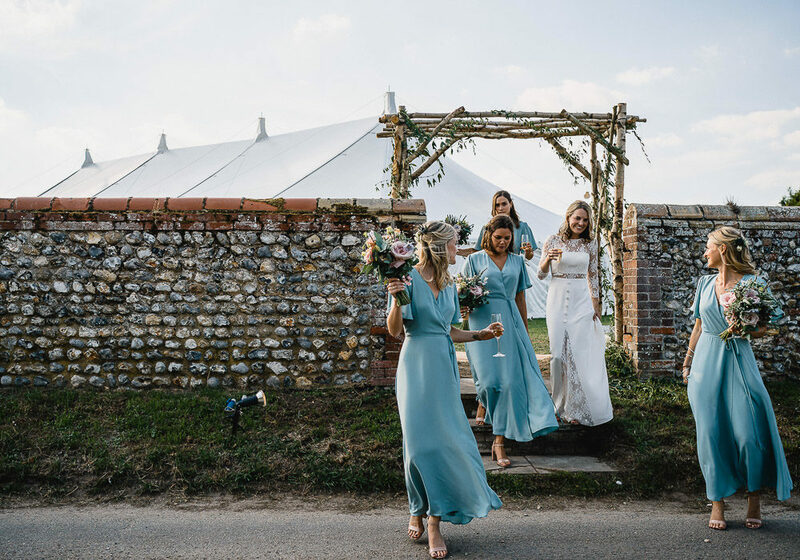 Firstly, the food was an incredibly important part of our day and we chose Running Duck Catering because their professionalism and attention to detail was second to none! We wanted to rely on local ingredients to make our surroundings come to life (Wighton is just 2 miles from the stunning North Norfolk coast). Our cake was made by The Rose Bush, who is Nick’s sister – and it was the perfect multi-tiered lemon sponge; incredibly light and all the guests were desperate for seconds! Another key part of the day which was of paramount importance to us (especially Tor!) were the flowers. 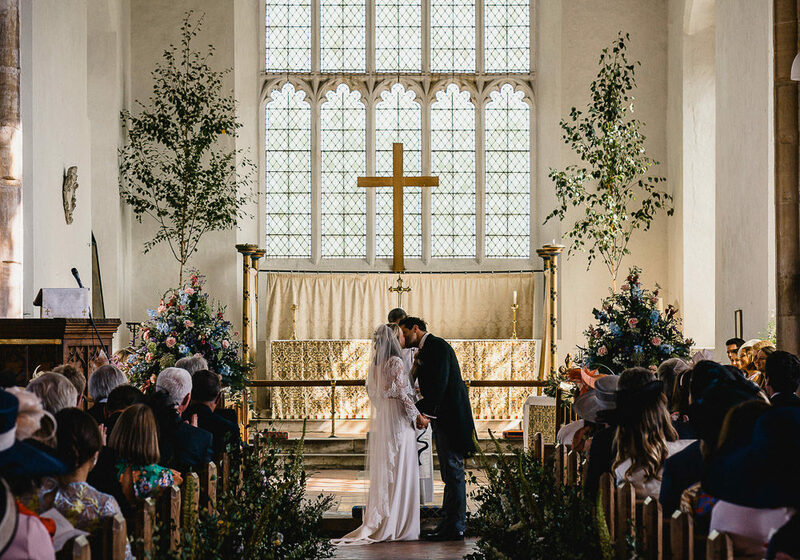 Luckily, one of Tor’s bridesmaids Alice is a florist in London (@alicestrangeflowers) so Alice created the bouquets, button holes and amazing pew ends in Wighton church. 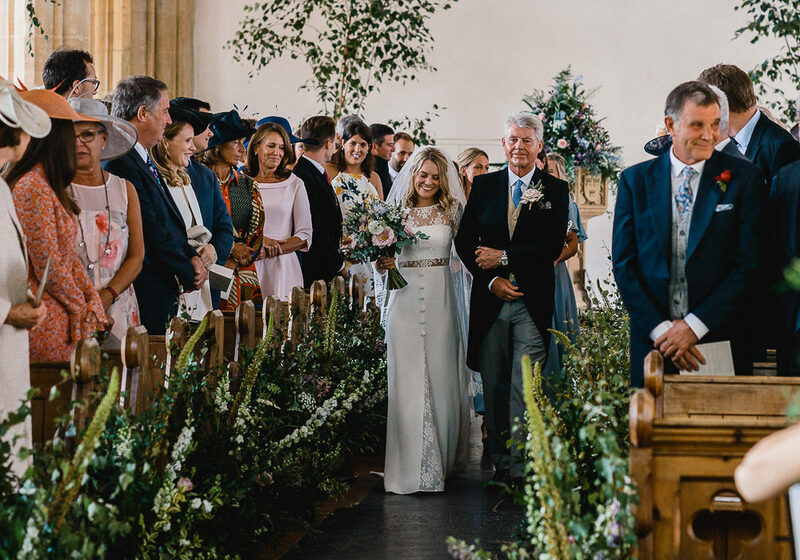 Lea and her team from Darling Buds Flowers in Norfolk made the church and reception stunning with flower arches, an amazing floral boat and stunning table centres. 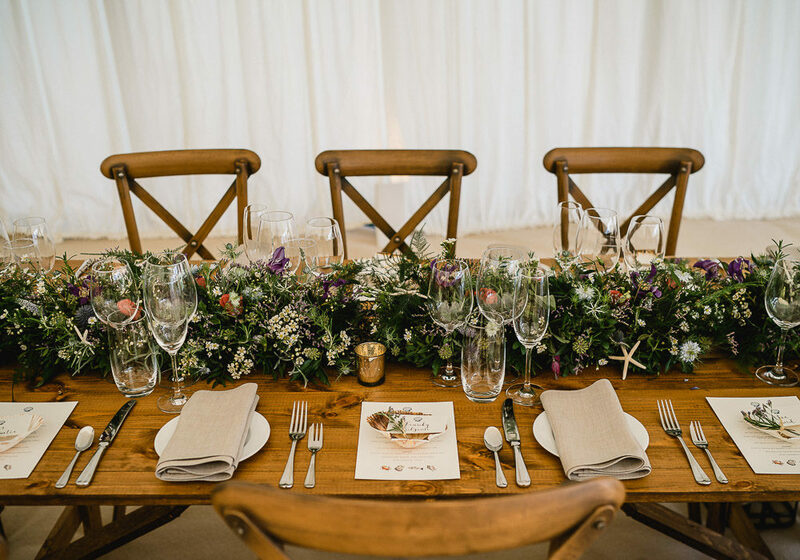 We wanted to create a wild flower look and feel with local herbs and flowers like rosemary, sea lavender and thistles to continue the nod to the seaside. This coastal theme continued through to the colour scheme. The bridesmaids’ dresses (Rewritten) and usher’s ties (Beaufort & Blake) were a marine blue and all of the table centres included a scallop shell. 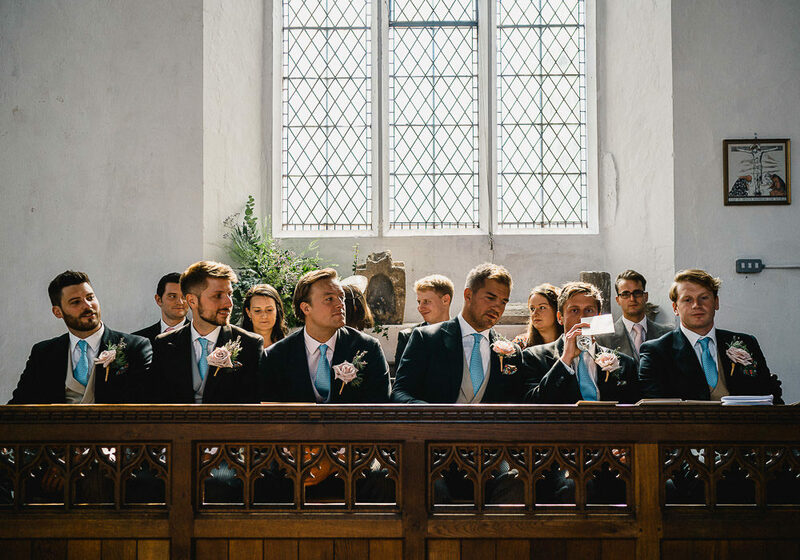 The church service was an absolutely integral part of our day, and we decided on readings which brought out the essence of our relationship to the coast, including ‘Patagonia’ by Kate Clanchy and ‘Guide me O thou great redeemer’ as a hymn. For the music, Tor & Nick had an amazing string trio in the church and drinks reception called String Infusion. They added an extra dimension to the day and played when Tor walked down the aisle. Tor’s wedding dress was created by the amazing Tephi. Tor had a strong idea of the sort of dress she wanted to wear on the day, but Tephi’s vision surpassed everything. 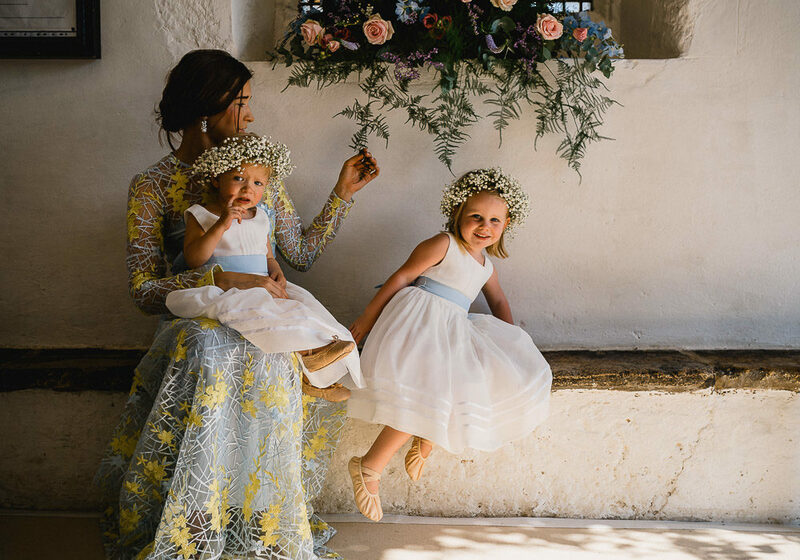 Tor wore her mum’s veil (something borrowed) and Tephi added the lace from her dress around the outside. Nick looked extremely smart in an Oliver Brown suit and Beaufort and Blake tie. After dinner, we danced the night away with Soul Fresh (part of Earcandy Entertainment). The band played a combination of funk and soul music and we barely left the dance floor all evening! The band finished on ‘Hey Jude’ and all the guests piled onto the dance floor with their arms around each other. To top it all off, we had a hilarious photobooth cab outside where guests could try on props – lots of giggles all round. 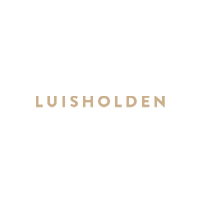 Last – but definitely not least – was our incredible photographer Luis Holden. Luis made us both feel so relaxed that we forgot he wasn’t one of the guests! His professionalism and easy, laid-back manner meant that he was the perfect addition to our day. 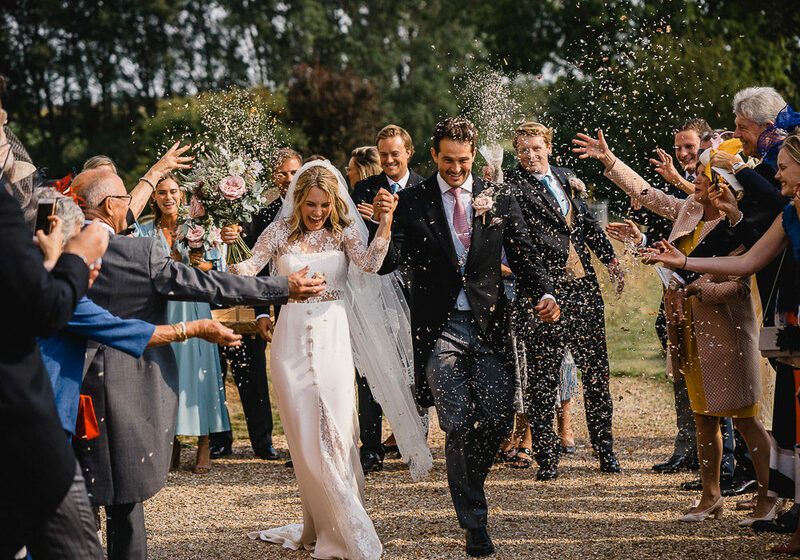 We were / are completely blown away by the photos and think they capture the incredibly happy day that it was.